Visitors transform their entire bodies into virtual birds, using motion-sensing technology to manipulate their avatars, moving individually and as a flock. 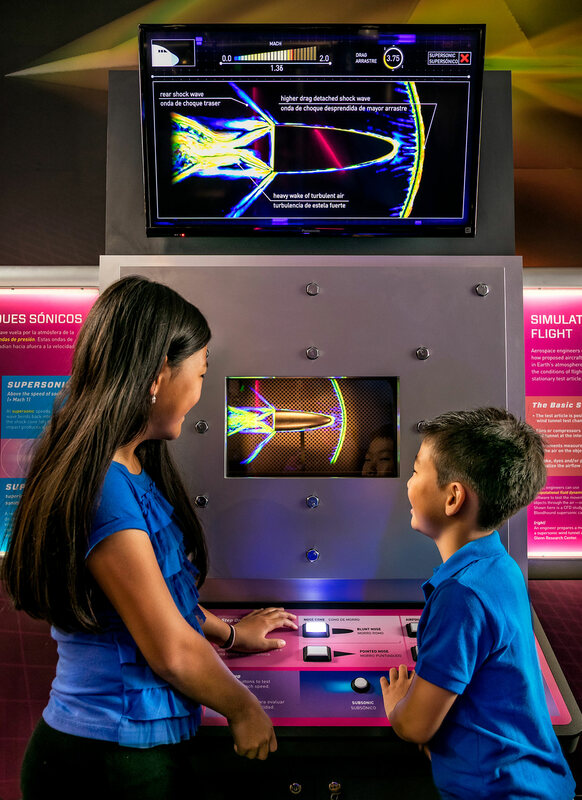 Here they explore the forces of flight—lift, weight, thrust and drag—as they lean to steer, and flap and angle their wings. 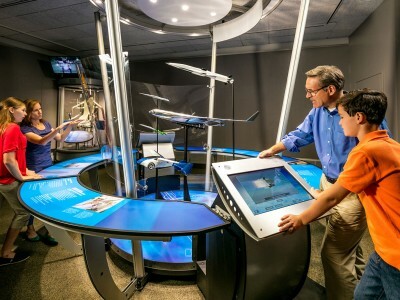 A visitor examines virtual 3-D models that demonstrate key innovations in flight and the science behind them. 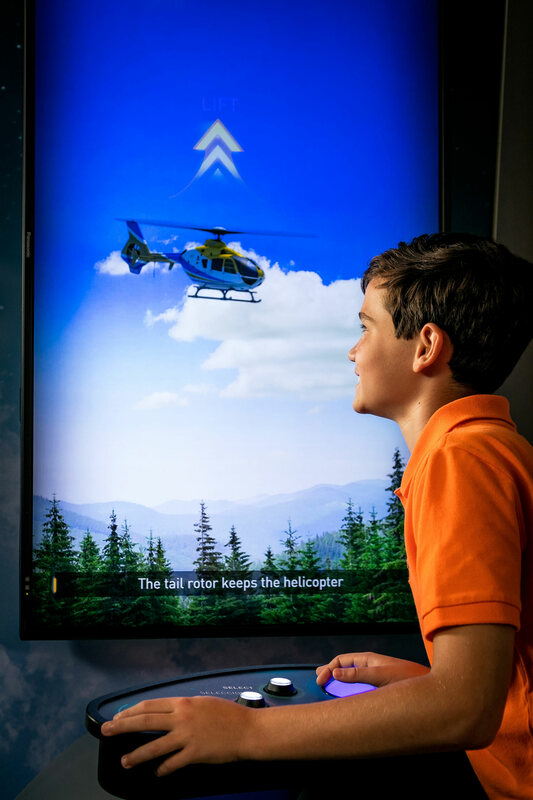 The visitor selects one model at a time from contemporary versions of six different aircraft, then makes the selection fly, finds out how it works and explores its heritage. 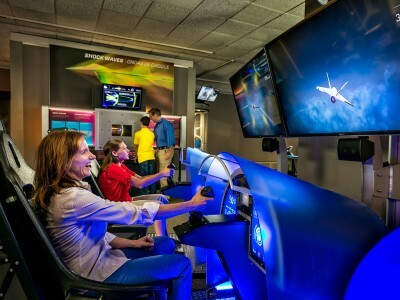 In the “Faster” gallery, visitors apply aerodynamic principles to design their own virtual fighter jets and then race against other would-be pilots in a high-speed flying competition. 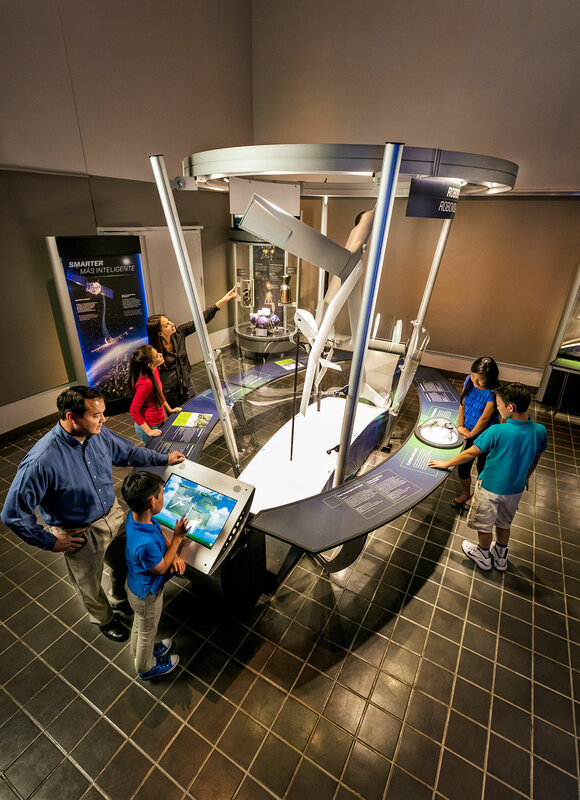 In a fascinating virtual technology experience, visitors learn about wind tunnel science and innovations in aerodynamics testing. 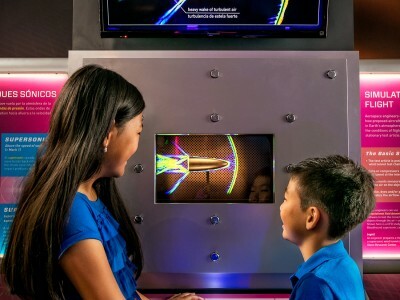 Participants perform a simulated wind tunnel test to gauge the effects of aerodynamics on high-speed flight over a range of aircraft nose and wing types. 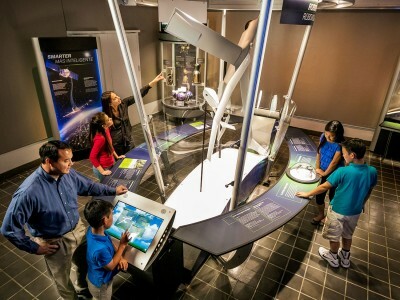 Visitors “ascend” to Earth’s orbit aboard a simulated space elevator of the future. 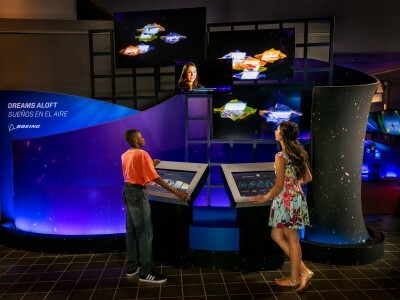 During the ascent, breathtaking scenery, digital displays and a virtual tour guide describe the aircraft, spacecraft and natural phenomena encountered along the way. 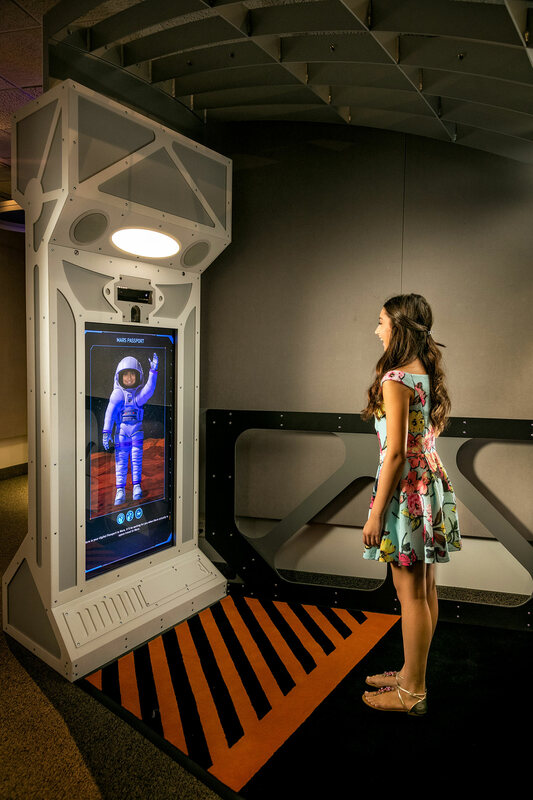 Through augmented-reality technology, visitors can experience firsthand the challenges of an ultra-long-haul flight to Mars. 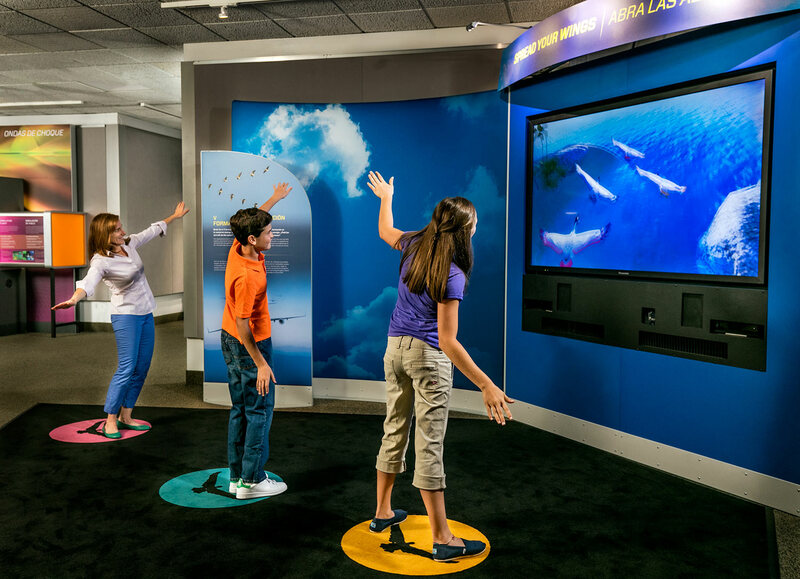 The activity demonstrates what happens to humans’ bodies—and their psychological state—over unusually long times and distances. 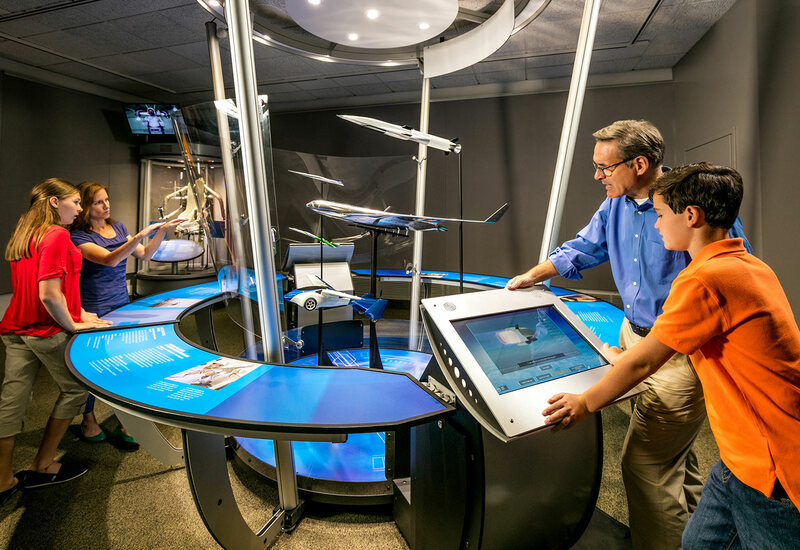 Through exciting short films and models, visitors learn about amazing aircraft designs that will or might be part of the future of flight. 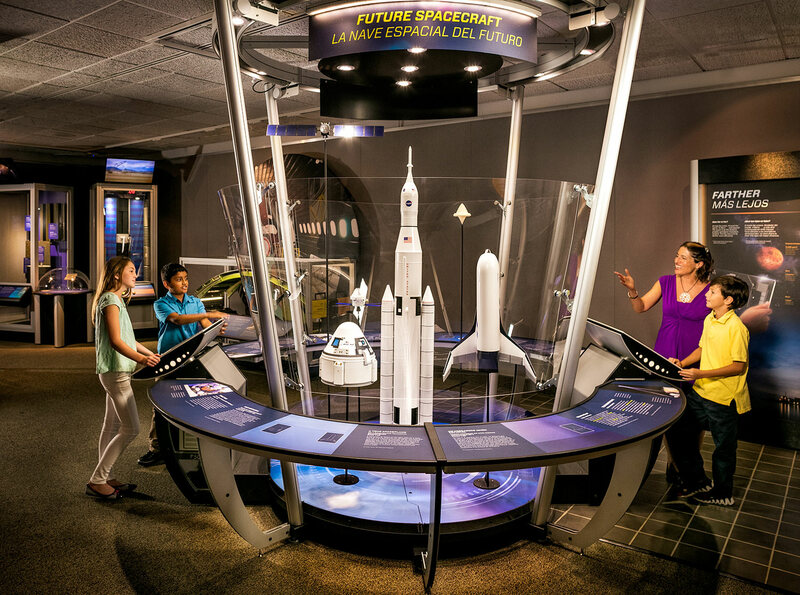 Flying cars, supersonic planes and ultra-green environmentally friendly craft are among the concepts explored. 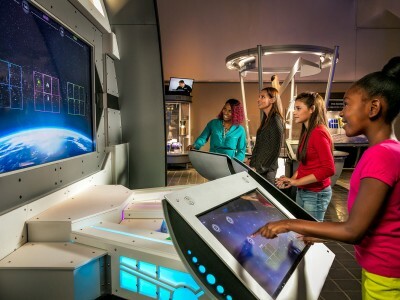 Challengers compete with each other at “Junker” stations, each trying to eliminate the most orbital debris surrounding Earth. 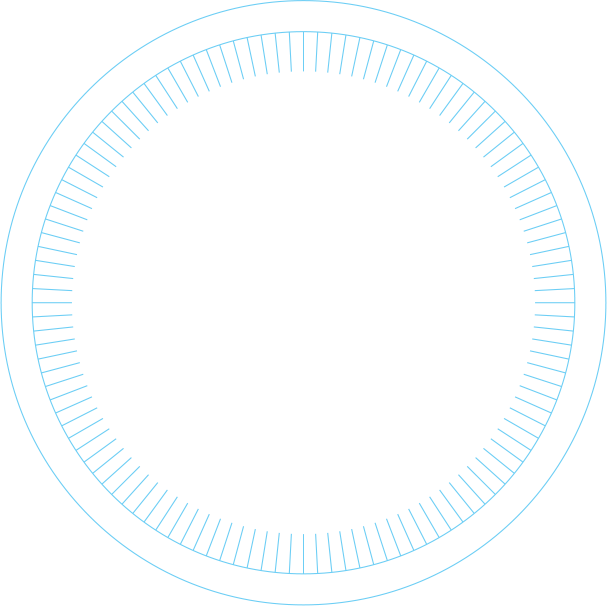 In a virtual timed challenge, they can choose from a range of possible cutting-edge solutions to get the job done. 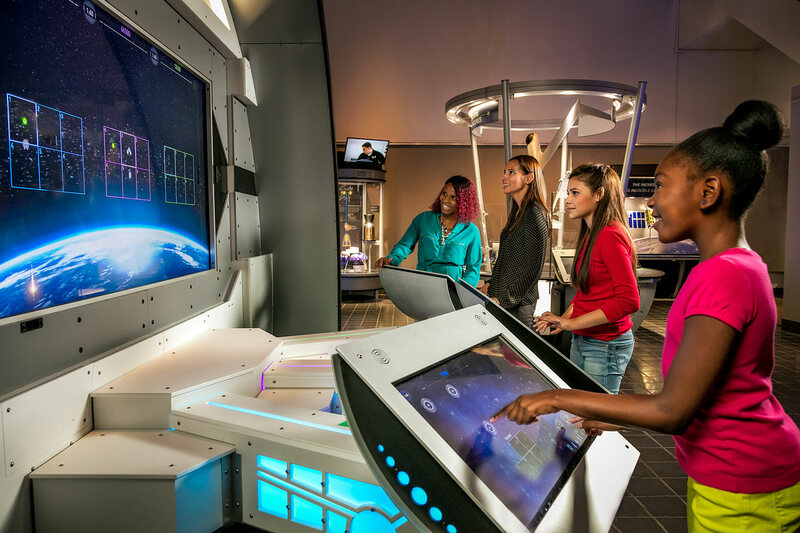 Visitors launch their own remotely piloted design to test their skills at equipping a flyer for a selected mission. 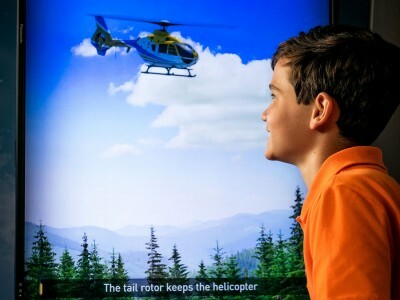 This interactive, and accompanying models, provide a fascinating firsthand exploration of the varied applications for unmanned aerial vehicle (UAV) technologies. 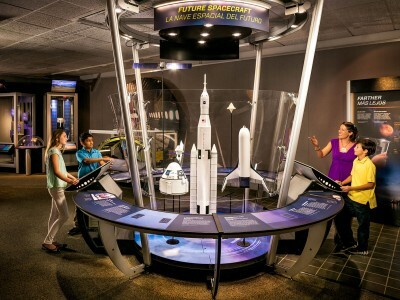 Short films and models showcase some of the sensational new developments in the new space race, such as mega rockets, solar-powered craft and laser beam-driven vehicles. 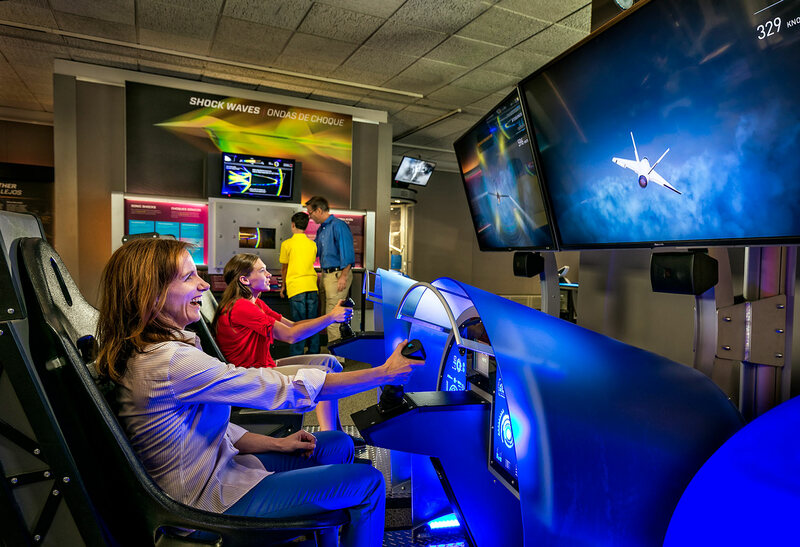 In video interviews, young aerospace employees discuss what they do, what inspires them, and their visions for flight one hundred years from now. 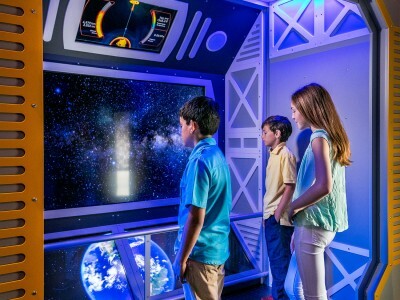 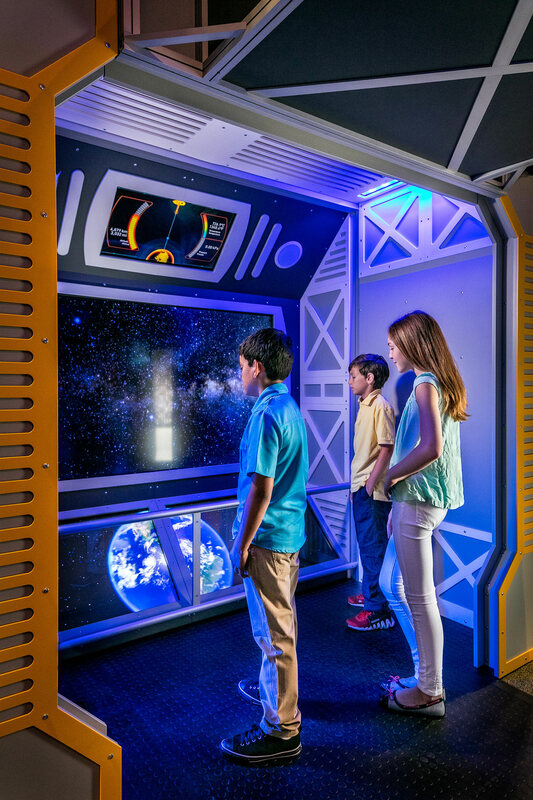 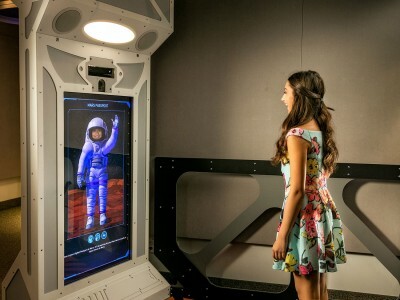 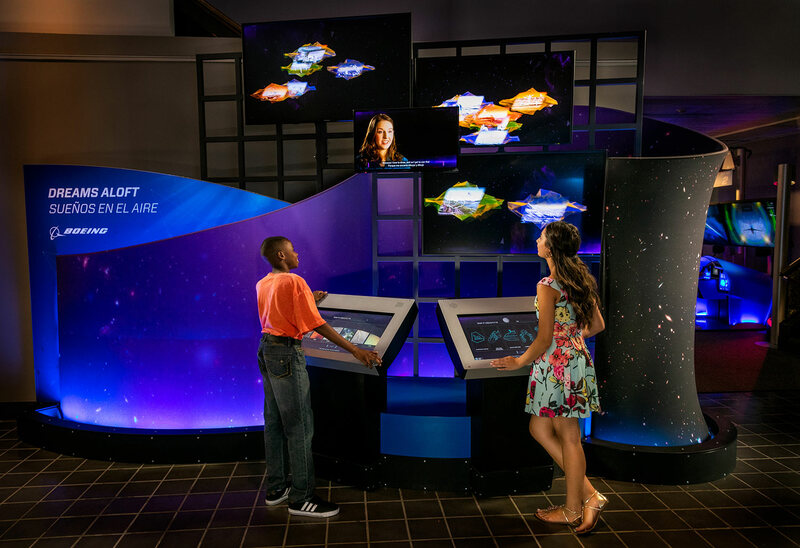 Here, visitors can also create video animation of their own dreams for the future of aerospace, and launch them into a collective field of dreams.